Body jewelry for nose. Slightly adjustable nose hoop easy to take on and off with a simple twist moving up and down. "Feeds" through the nose and has a "stopper" flat piece that keeps it in place inside the nostril. 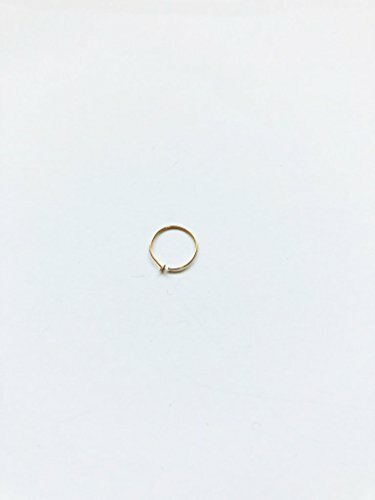 Made with 24g sturdy but delicate 14k yellow gold filled metal. Hoop size 5mm to 6mm depending on your nose size... this hoop could be the snug tiny hoop you are looking for. If you have any questions about this product by EllieJMaui, contact us by completing and submitting the form below. If you are looking for a specif part number, please include it with your message.